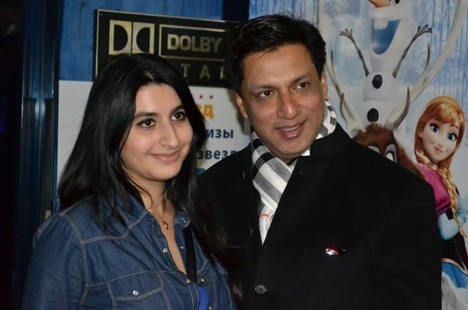 Bollywood director Madhur Bhandarkar was present at the launch of the ‘Week of Indian Cinema’ festival, which features his films Heroine and Page 3. The festival will also screen Pinjar and Munnabhai MBBS. Fans of Indian cinema in Russia often complain that there are very limited opportunities to watch newer Hindi films in the country. As the world marks 100 years of Indian cinema, a festival of contemporary films is simultaneously being held in the Russian capital as well as the university town of Voronezh. The ‘Week of Indian Cinema’ festival was inaugurated by Vychaslav Telnov, Deputy Minister for Cinematography of the Russian Ministry of Culture and Ajai Malhotra, Ambassador of India to Russia. The programme was attended by famous Indian director Madhur Bhandarkar, who is known for his reality films, such as Page 3 and Fashion. The ‘Week of Indian Cinema’ is being jointly organized in Moscow and Voronezh by Russian Film Company NOY on behalf of the Ministry of Culture and the Jawaharlal Nehru Cultural Centre of the Indian Embassy in Moscow, with the support of the Indian Ministry of External Affairs. At the inauguration, Telnov thanked the Indian Embassy for arranging the screening of Indian films alongside the ongoing Festival of Indian Culture 2013. Ambassador Malhotra shared with the audience that another Indian Film Festival, commemorating 100 Years of Indian Cinema, will also be presented in Moscow on December 13-15, 2013 at the Illusion Theatre in Moscow. He hoped that it would open new avenues for the commercial release of Indian films across Russia. The official ceremony was followed by the screening of Heroine directed by Bhandarkar. Other Indian films being screened at the Rolan film theatre as part of the Festival include Khakhee, Page 3, Rain Coat, Munna Bhai MBBS, Swades and Pinjar. While the Rolan film theatre (12a Chistoprudniy Boulevard) will screen the movies in Moscow, in Voronezh, the festival will be hosted by the Spartak cinema hall (near the Lenin Square).